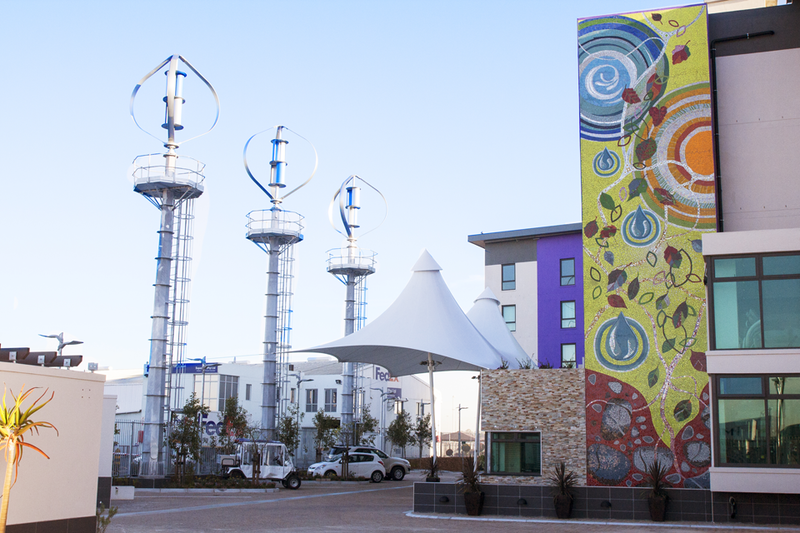 At the Green Building Council’s annual Green Building Convention held from the 2 – 6 November this year, Hotel Verde won the Highest Rated Building category for its Existing Building Performance (EBP) Pilot tool rating at the Green Star SA Leadership Awards 2015 held at the convention. The hotel was assessed over a 12 month period, and attained the highest points to win the category. Hotel Verde has a 6-Star Green Star SA EBP rating, and according to Green Building Council South Africa’s (GBCSA) CEO Brian Wilkinson “showcases some of the most advanced, environmentally conscious technological installations, construction methods, procurement and operational practices of any hotel in the country,” and having previously already achieved a global first when awarded two Leadership in Energy & Environmental Design (LEED) Platinum Green Building Certificates by the United States Green Building Council (USGBC) – Read more here. The theme for this year’s convention was inspiring better buildings with an emphasis on the need to acknowledgment that it is no longer enough to simply think green while building but that to achieve green building, technologies need to be part of the business process. To read more on the convention, see the article SA’s Green Building Convention in its 8th year. Also among the winners at the awards were Upper Grayston Building in Sandton Central, Johannesburg; the Monte Circle Building A in Fourways, Johannesburg and the Gatehouse building at Black River Park in Observatory, Cape Town.